I'm a little late with this one, as I got it last week...but better late than never! As this is my favorite sub, I couldn't let it go unposted. Starlooks is a monthly sub service that sends out three or four full sized makeup items from their line. The products are amazing quality and the customer service is phenomenal. They are a fun company and I love this sub every single month! This month, Starlooks went with a tribal theme. The thing I love about this sub is that they send me shades I'd never buy, and I end up loving them. This month is no exception! The packaging this month was extra cute! I'm keeping this one to organize...something. I love the fact that they change the box each month to complement the contents. This month, we got three products and a bonus! This is an Eyebrow Shader Compact. 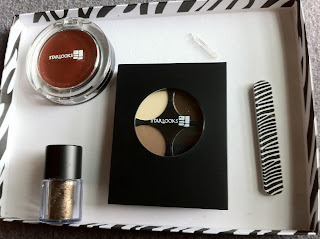 It is intended to help fill and sculpt your brows, regardless of their color! These are slightly less pigmented than their eyeshadows, and as such, can be worn as shadows as well. I love this as I have very few neutrals, and I admit that my brows are severely neglected. I'm really happy to try this out! This is a Pigment luster in Cinnamon Toss! 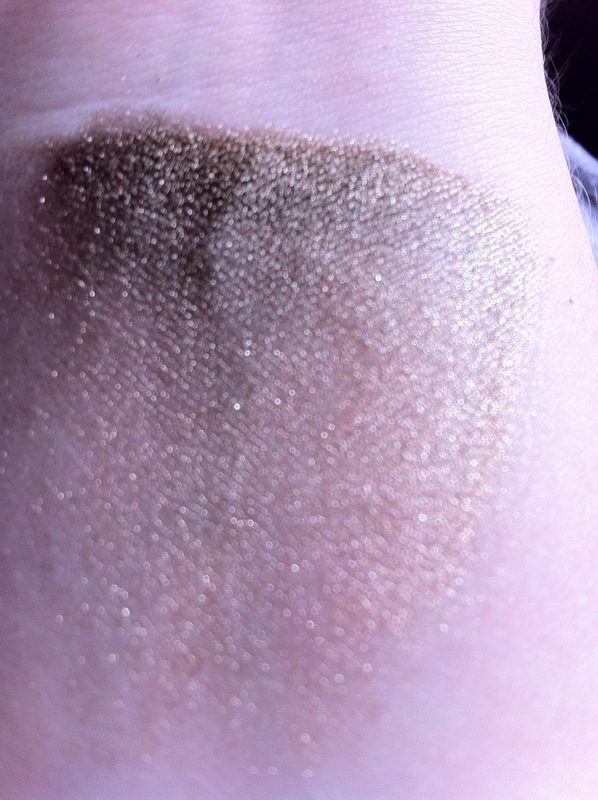 It's a gorgeous loose pigment in a golden brown, almost olive shade. 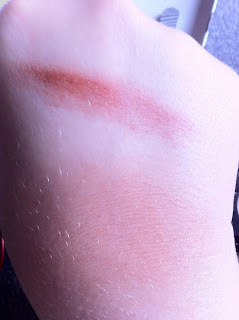 It is super pretty, pigmented but not too much. This cream blush in Emphasize is a dark brick red color. It looks intimidating but goes on nice and sheer, and is buildable. 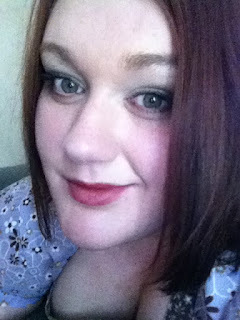 It has a dewy moisturizing finish, and on my pale skin, it looks like a nice natural flush. This is a color I never would have picked out for myself, but I have absolutely fallen in love with it! 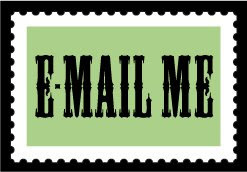 This month, the bonus is a mini file in a cute tribal pattern! I am excited to have a mini to keep in my bag! Altogether, this box has a value of $55 and I am very happy with it! Every single item will be used, as usual. I've already worn everything a few times, actually! I've swatched the blush and luster, since they look a bit intimidating in pan. 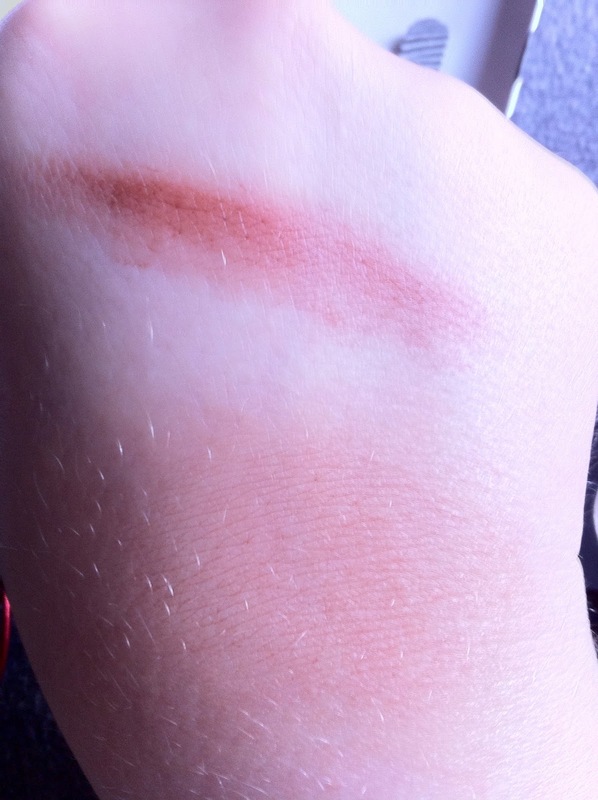 Here is the Emphasize cream blush. The top is a single swipe, and on bottom is a swipe blended out. As you can see, it is super wearable even on my pale skin. And here is the pigment luster in Cinnamon Toss, applied in a single heavy line and then blended down, so you can see how it can be dramatic or a sheer shimmery veil. So pretty! Here's a quick basic look I wore using the brow kit (lighter two shades on my lids), pigment luster (blended into my crease), and blush ( on my cheeks, and I had the blush dabbed on my lips, as well!) Not so intimidating when worn! As always, I'm loving my Starbox. Have you tried Starlooks yet?